Session 2 focused on the study of fruit found in scripture. Margaret Feinberg refers to herself as a frugivore – a person that would thrive on mostly fruit. I’d definitely join her in this designation. I would happily eat fruit all day long. When I think about fruit in the Bible, I quickly think of grapes. I was surprised to discover that the word, fruit, is mentioned over 200 times. During the video lesson, Margaret Feinberg highlighted several key fruit found throughout scripture. She chose to focus our attention, however, on the fig and the fig tree. On Day One of Session 2, we studied the importance of fruit in the Bible. We read from Old Testament passages that gave God’s instruction on the care of fruit trees during war and the proper times for harvesting. Through these readings, we learned that God was teaching his people their need for dependence on Him and His redeeming work of fruitful provision for them. I find that as I walk daily with God, the more I display the fruit of my journey with Him. When I choose to do good, out of love for Him, I display the good fruit from a good tree. Others can recognize Him in me. I can’t make myself more fruitful only He can cultivate and grow more in me. We were instructed for the lesson on Day Two to read the third chapter found in the Taste and See companion book. 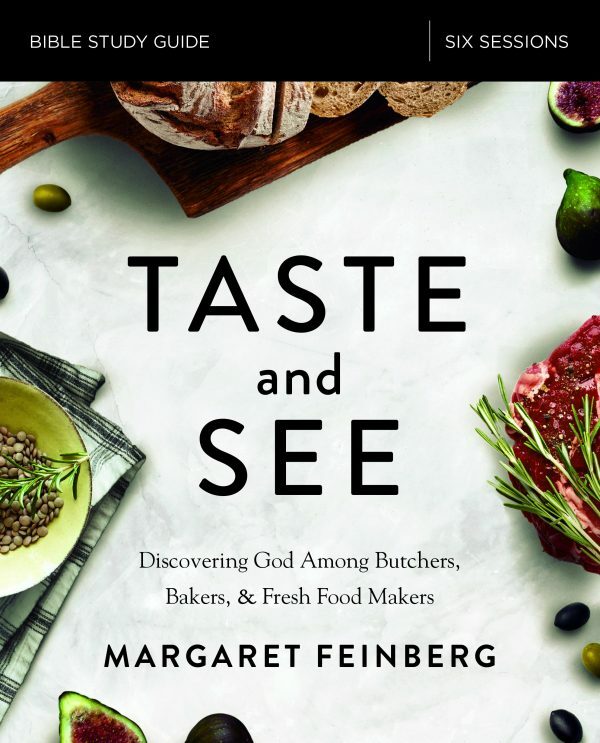 In this chapter, we read about Margaret Feinberg’s experience learning about and harvesting figs. She stated in the chapter that “[w]henever Jesus says, “Look at the fig tree,” he is challenging our notions of attentiveness and expectations.” She continued this train of thought by introducing the idea of change blindness. Change blindness is “a term describing our tendency to miss shifts in our immediate visual environment. We assume that if something dramatic changes right before our eyes, we will, of course, recognize the shift. But actually, it’s impossible for the human mind to fully process and be aware of every visual detail at all times.”(pg. 62) In our lesson, we were challenged to consider and apply this concept to our spiritual life. Our tendency is to become bogged down by the struggles, trials, and obstacles in our lives and we lose heart and hope. Like the fig tree that can yield a harvest of 10,000 to 75,000 figs each year, we are to live lives that expect Christ to be at work in them. We are to yield abundant harvests year after year. Our lesson on Day Three focused on the gift of pruning. We read about the pruning of figs for a more abundant harvest and then turned to the scriptures to read about the pruning of grapes from the Gospel of John. We then answered soul searching questions about where we feel God is currently pruning areas of our life, where He had pruned our lives in the past to yield more fruit, and how these agricultural practices could be applied to our future as we daily walk with Him. On Day Four, we read chapter four from the Taste and See companion book. During this lesson, our attention was shifted from fruit to bread. We read about the provision of manna that God gave His people in the wilderness. We then considered the waste of food and how we might become more attentive to our waste. We also read of the processes of harvesting and daily making bread in antiquity. We were challenged to consider how this life giving, communal, daily chore shifts our perception of the mention of bread in the Bible. Also, we were to reflect on how the communal nature of this act affects the way we participate in Holy Communion or the Eucharist. Session 2 concluded on Day Five with our activity lesson. We had our choice between four options. We could try some unusual fruits with our family and talk about the goodness of God in creating them. We could draw or paint a picture of the fruitful life we want God to give us as a visual prayer to Him. We could research the terms “food deserts” and “food insecurity” to better understand these needs in the United States and how we can help. Or, as our final option, we could make jam, jelly, or dehydrated fruits to give away as gifts. Begin Session 3 lessons this week. We will be exploring bread and specifically, the Bread of Life. I’ve been in some very hard and difficult places and tend to learn things the hard way so if anything I’ve said or written has helped you, I’m humbled more than you know by your words. God is really the one to take the credit. God has you in the grip of His hand. Even if your grip becomes loose or weak, He holds fast and secure. He won’t let go. Trust that. “But the fruit of the Spirit is love, joy, peace, patience, kindness, goodness, faithfulness, gentleness and self-control. Against such things there is no law.” Galatians 5:22,23. I love that verse from Galatians as well. I’m learning that some seasons of life take baby steps and go at a snail’s pace. I try to remind myself of God’s past goodness to me and His past answers to prayer when I feel myself feeling impatient or swallowed up by the slowness of answer or response from Him. I want things to be better quickly and thats just not how it always goes. Peace of spirit is a process. I find if I allow Him to work on me and wait in the process of it all that there are innumerable blessings and lessons to learn in the process. The fact that some are seeing a change in your demeanor signals that change is happening. You will bear fruit of your time spent with God. Nothing is wasted. Displaying the fruit of the Spirit will be a lifelong endeavor that ebbs and flows as we grow and mature in faith. God will always help us through our difficulty. Hang in there!